Sarah joined Clapham & Collinge Solicitors as Head of Commercial Property in November 2018. Sarah has over 15 years' experience in the commercial property sector, having started her training in commercial mortgages with Norwich Union. In 2005 Sarah joined another local regional law firm to complete her training, qualifying as a Chartered Legal Executive in June 2008. 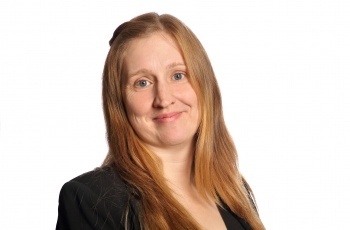 Sarah assists both private and public sector clients providing advice on a range of commercial property matters including buying and selling business premises, landlord and tenant, property finance and development work. Sarah is a committee member of the Norfolk and Norwich Law Society and is the firm's representative at the networking group, Thrive. In her spare time Sarah enjoys live music, film and theatre.